Canberra’s Emma Walter and Ros Balodis have been named Australia’s best after taking out awards at the Newcombe Medal, Australian Tennis Awards in Melbourne on Monday night. After being a finalist in 2015 and 2016, it was third time lucky for Walter who received the award for Excellence in Officiating. Walter said she was pleasantly surprised to receive the award. “It is such a wonderful honour and privilege to be the recipient of this award. “We have so many dedicated officials working here in Australia and overseas, so it is very humbling to be recognised in this way. “I love being part of officiating – being part of this great sport, working with some amazing people and the challenges of continually learning and developing through your experiences,” Walter added. Walter started the year acting as a chair umpire at the Australian Open 2017, before heading overseas to the Netherlands and UK. She chaired junior matches at Wimbledon and was selected as a line umpire for the US Open men’s singles final between Rafael Nadal (ESP) and Kevin Anderson (RSA). Walter has also been heavily involved with officiating at the grassroots level and is a driving force in promoting and developing officials in the ACT. With the Australian Summer of Tennis ahead, Walter will officiate at the Brisbane International and Hobart International, before heading to the Australian Open 2018. 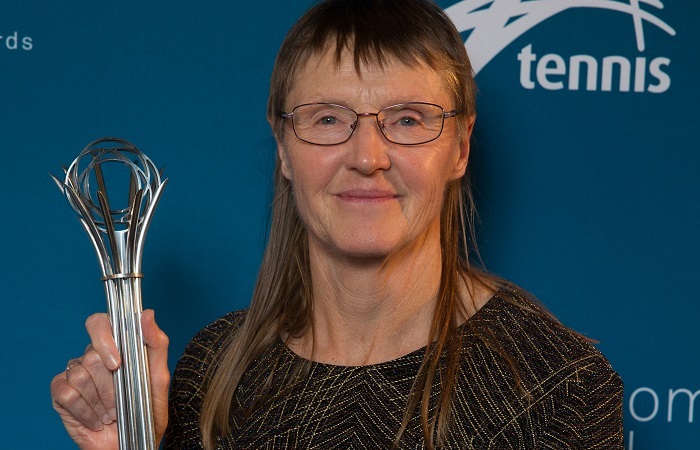 Balodis claimed the title of Most Outstanding 35+ Tennis Senior for the third time in her career after also winning the crown in 2013 and 2014. “It’s an amazing shock to win this year, there has been so many good seniors’ results. 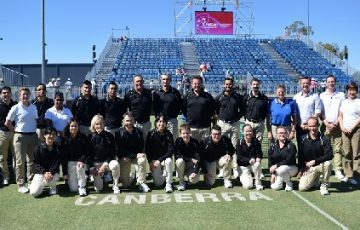 “Just being here for the evening is an inspiration to see so many fantastic results from our Australian players and makes you want to keep playing and improving,” Balodis said. It has been another big year for Balodis who in September was inducted into the Tennis ACT Walk of Fame. 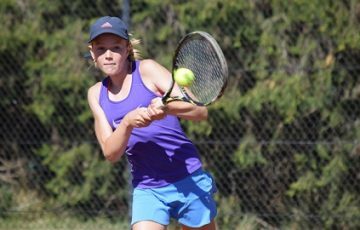 She recently returned from the USA where along with fellow Canberran Narelle Raftery they took out gold in the Maureen Connelly Cup at the ITF World Team Championships. Balodis then combined with Leanne Swaysland (NSW) to win the Women’s 55+ Doubles title. 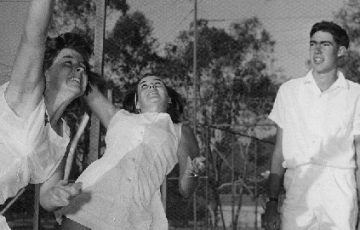 Balodis boasts a remarkable record, with a 95 per cent winning ratio (206 wins to 11 losses) at international level, and has maintained an unbeaten singles record at the Australian Tennis Seniors 35+ Championships of 18 titles dating back to 1998. The awards highlighted the strength of tennis in the capital with a record five finalists for the Australian Tennis Awards, along with Nick Kyrgios as a Newcombe Medal nominee. Giralang Primary School were a finalist for Most Outstanding School, Frank Calabria for Coaching Excellence, Club, and the ACT Claycourt International for Most Outstanding Professional Tournament. Ashleigh Barty claimed the Newcombe Medal after edging out fellow nominees Kyrgios, Daria Gavrilova (Vic), John Peers (Vic) and Jordan Thompson (NSW).